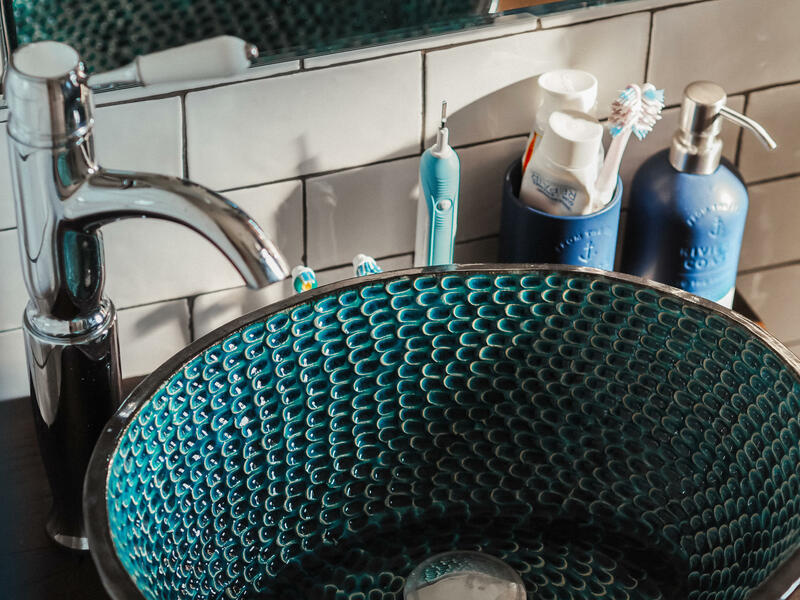 Apart from the kitchen, I think the bathroom is one of the most important room in our homes. 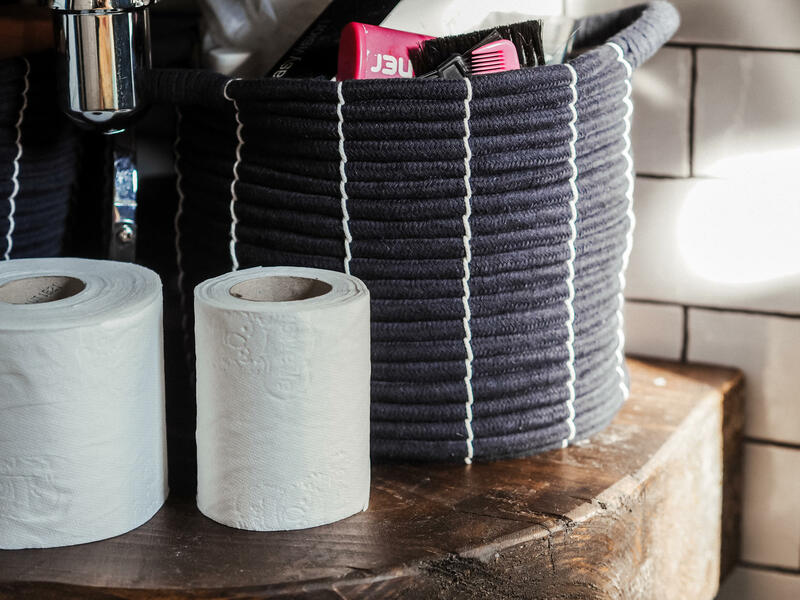 We spend a lot of time in there(92 days over a lifetime apparently) so having the bathroom laid out and also styled to suit our everyday lives is very important. 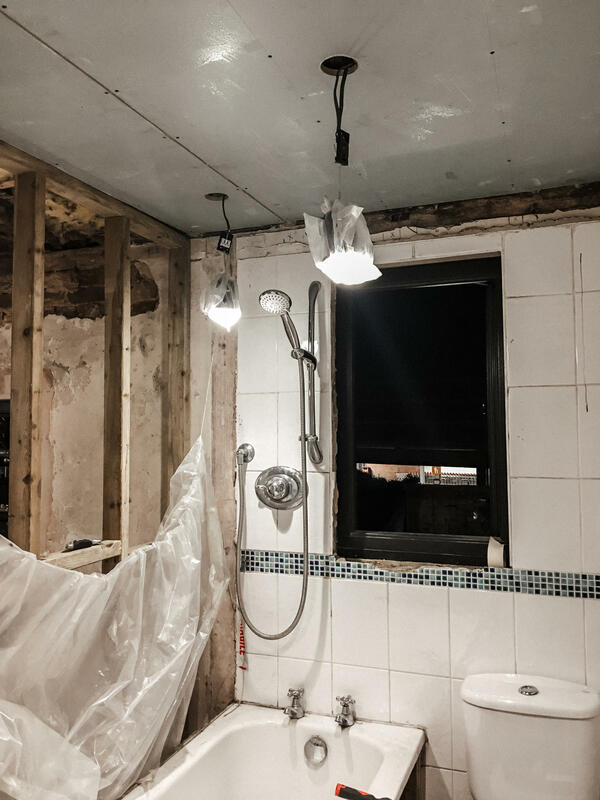 When Gary and I first bought our house back in late 2015, we knew we would have to redo the bathroom but the finished result we have now created is a million miles away from where it once was. 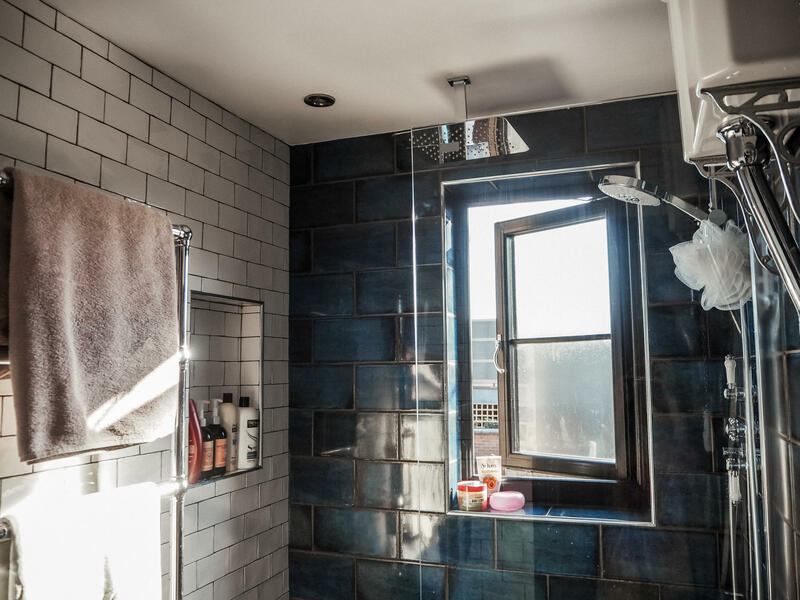 Picture this – a small bathroom with one thin walkway(which lead to the toilet at the end of the room), a bath on one side and a sink at the end of the bath (right by the door). It may have suited the previous owner(s) but it really wasn’t for us. For one, it was super cramped. You couldn’t have more than one person in there at a time and it just didn’t have a relaxing feel at all. 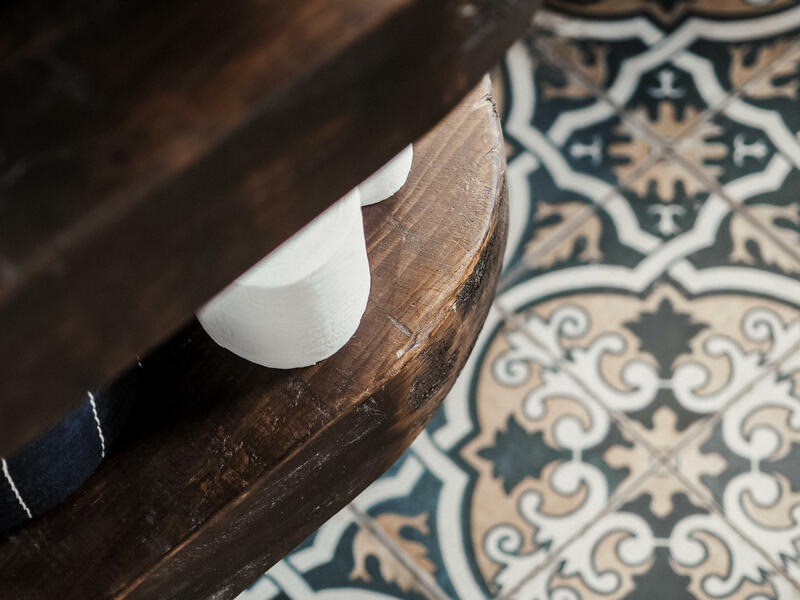 When we first looked at designing our bathroom, the layout was a head-scratcher. 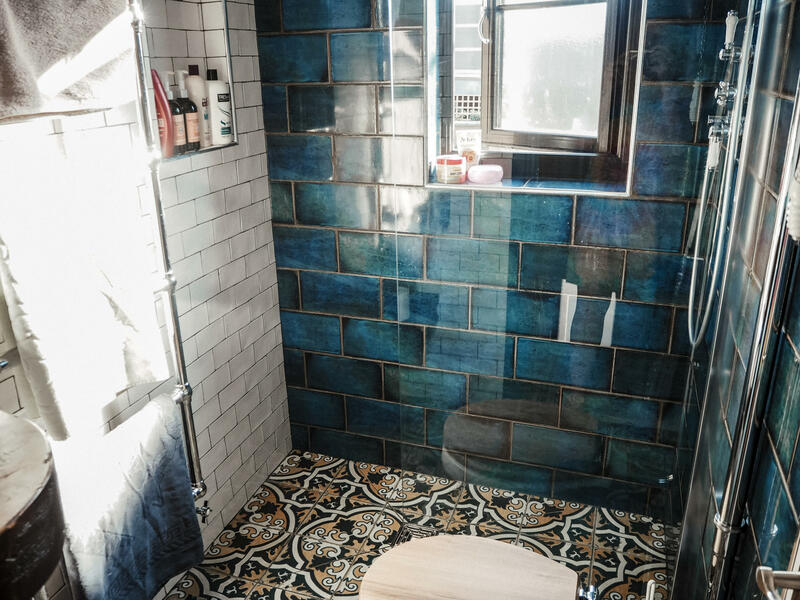 We drew out plans with Arron (who was creating our new bathroom for us) and decided on a wetroom that would have attention-grabbing tiles from floor to ceiling. As it is a small bathroom we also decided that the bath had to go, permanently. This wasn’t an easy decision as I really enjoy a bath but when you need space and prefer luxury fittings, losing a bath is a small price to pay. We also decided to move the toilet so it worked with our new design better but this again created problems as we needed to move the waste pipe (our house is a terrace and only two bricks thick between our neighbours) and we also had to think about our sink and where that would fit into the equation. After we drew out our last designs and planned to move a wall(I will get to that shortly), our new layout was ready! 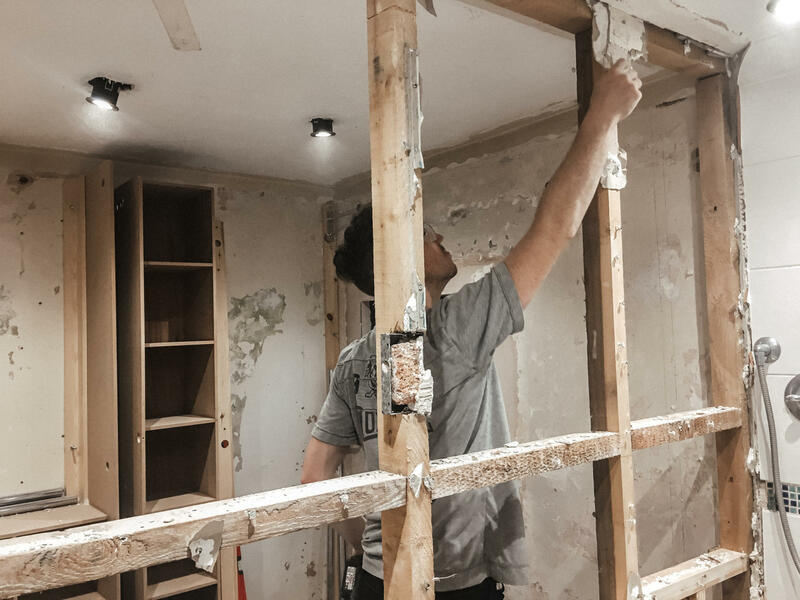 It was exciting for us as we couldn’t wait to get going but we also had to be patient as it would be the only room in the house that we needed a labourer(Arron) in for. 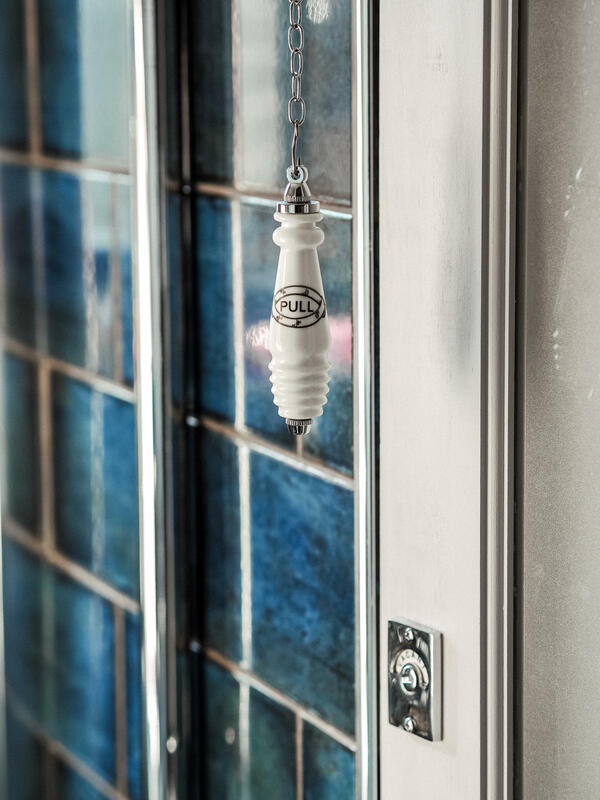 We would normally tackle a bathroom ourselves but a wetroom must be done correctly as we didn’t want any leaks or issues later down the line. I had a pretty good idea about the style of the bathroom early on. This did help with the design process as we knew what fixtures we wanted and could cater for them when we were doing our planning out. 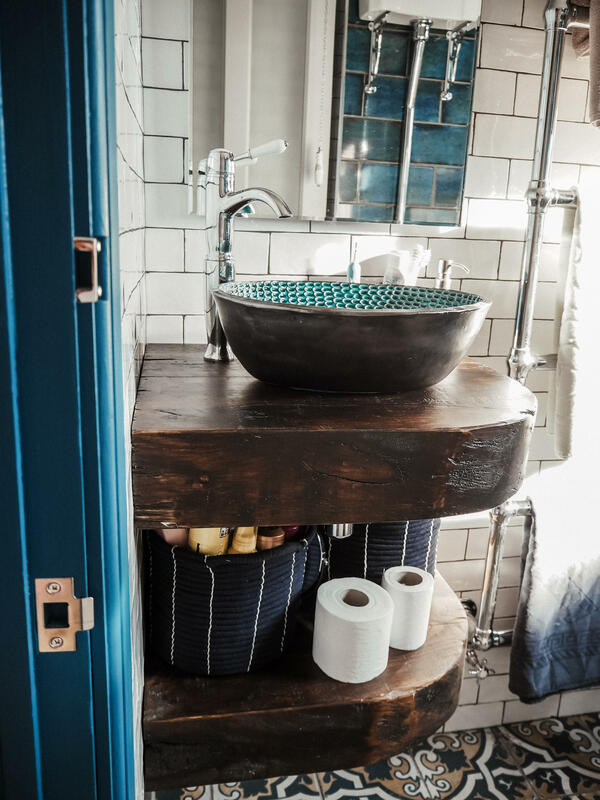 I have always loved an old-school high-level toilet and after speaking to Gary, we decided that one in our bathroom would be a great feature. 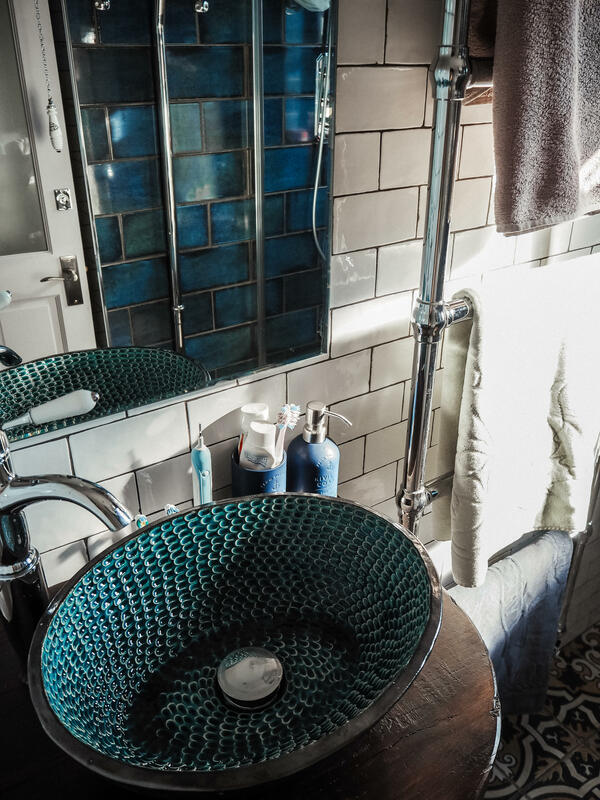 To match this vintage direction, we also bought taps for the sink, taps for the shower and taps for the towel rail that would match this early Victorian look that we were going for. 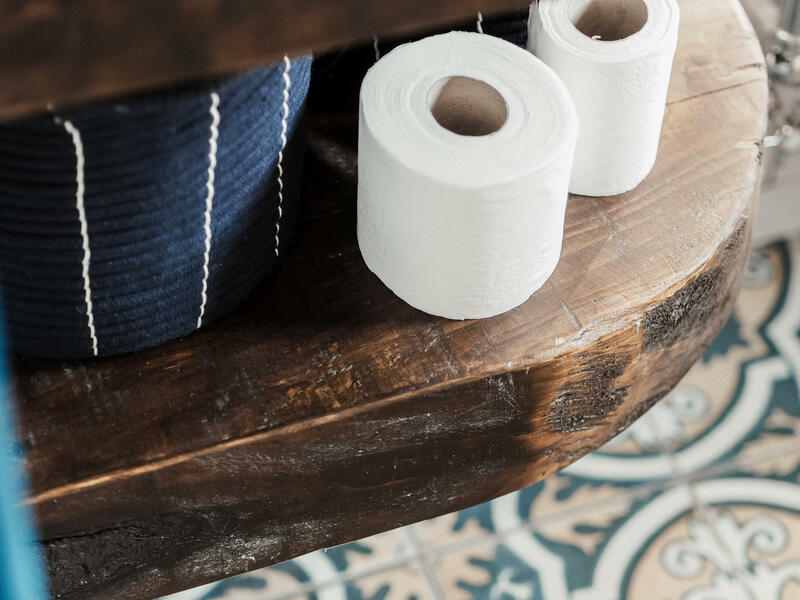 To give it a real spin though and to have some fun with the bathroom, we added a cool Moroccan twist to our vintage theme. 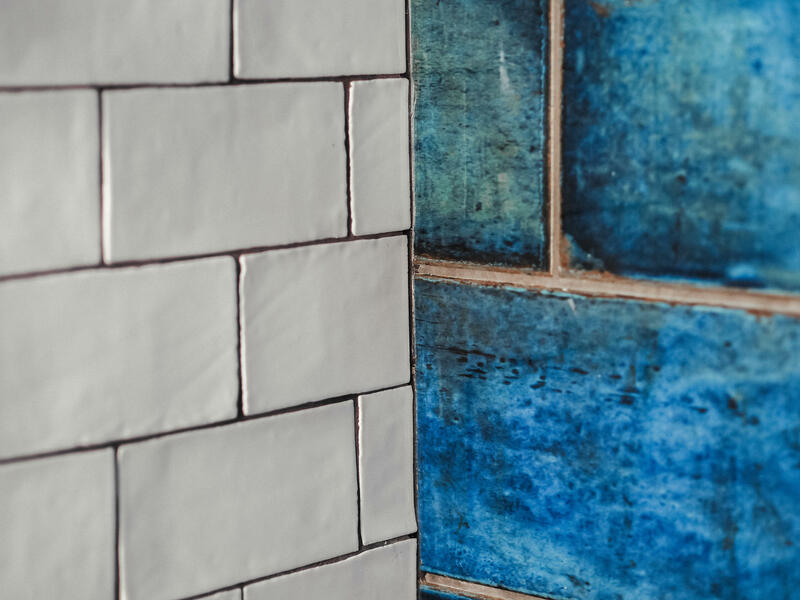 We sourced tiles that were bright and bold that would suit our fixtures but would also give our bathroom some edge and colour. 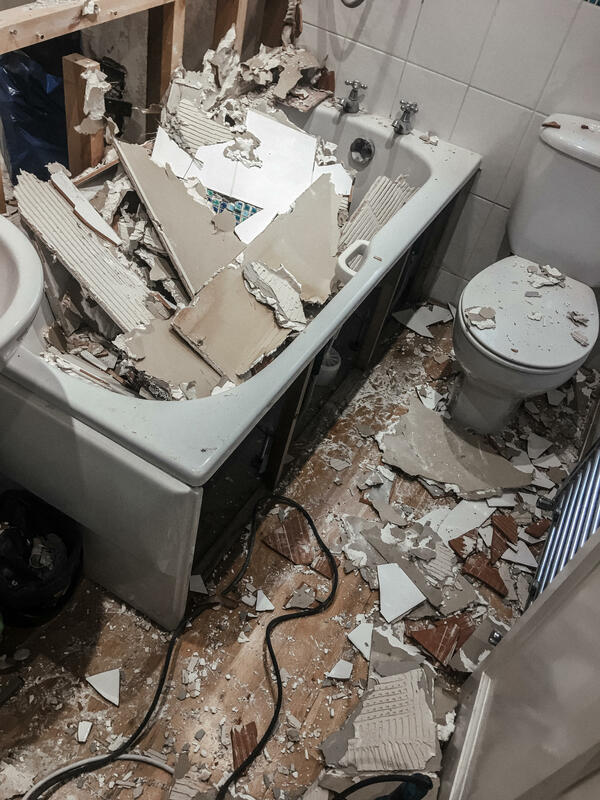 When we had the shower screen, toilet and other pieces delivered(and had Arron booked in) we started to rip out the old bathroom. 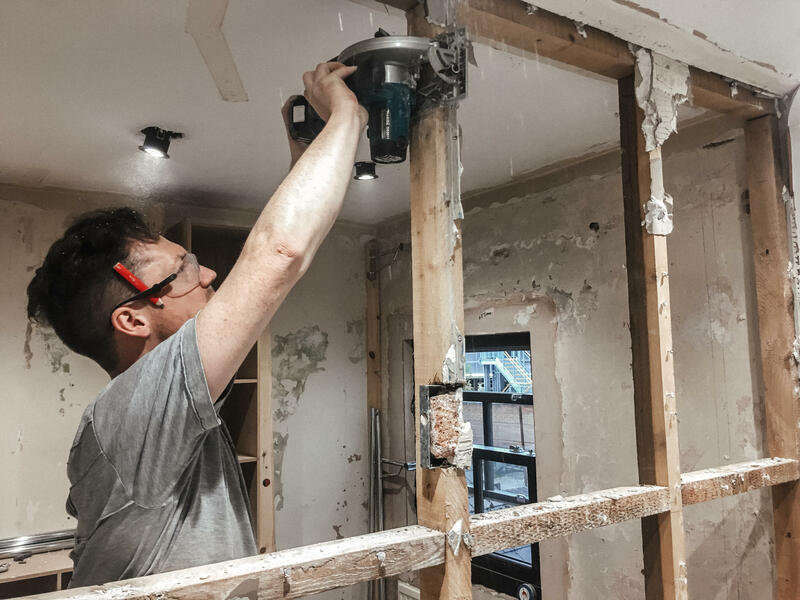 Firstly we needed to use an SDS drill to get all the old tiles off and also tear down the wall that we were going to move. We had to do this to cater for the toilet that we wanted to have in the middle of the room so we would create a new wall (6 inches deep) especially to hide the waste pipe. 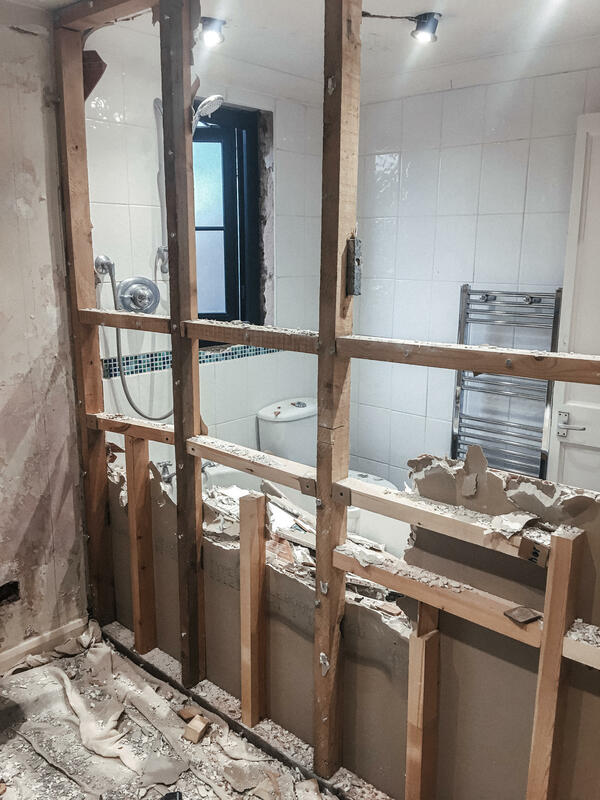 As we didn’t want to lose those 6 inches in the bathroom, we decided to move the wall that divides the bathroom from our spare room/walk-in wardrobe. 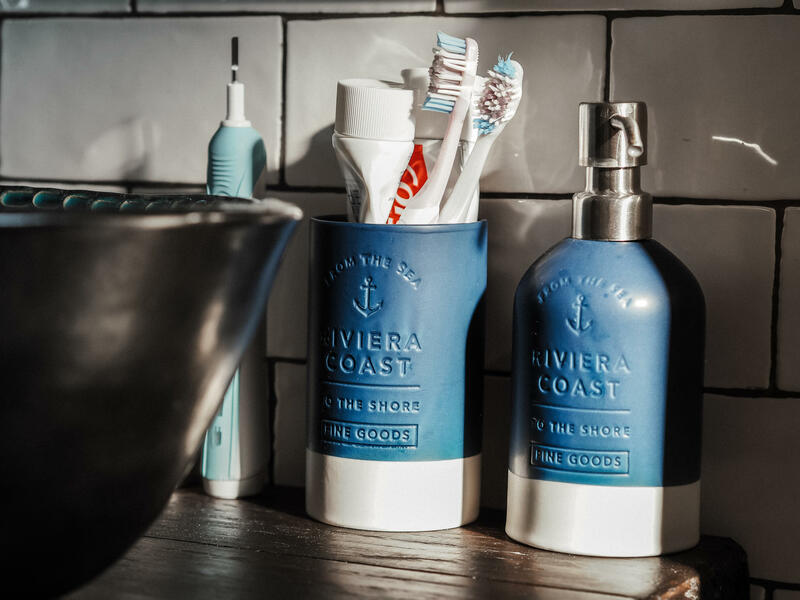 6 inches may not seem like much but when your bathroom is as small as ours, any space you can find is vital. The plan for a new wall also worked well as it created an alcove for the bathroom door to sit in whenever the door was open/not in use. Gary taking down the old wall. The view from our spare room. 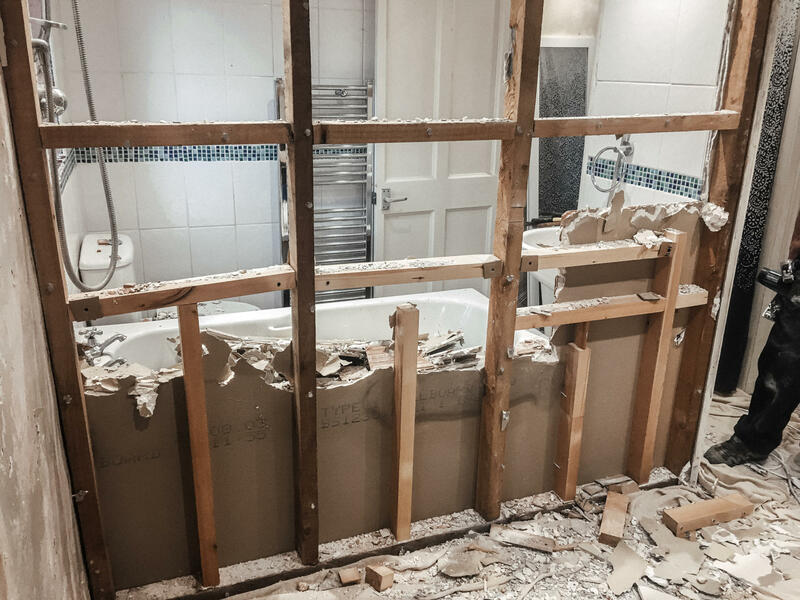 Once Arron got stuck into creating our bathroom it came together very quickly. We did have to stay at a hotel for a few nights as it was too cold to shower outside with a hose but after some patience and later changing some tiles(the first white ones we had were rubbish), our bathroom was complete! We used a tall and thin shower screen to seperate the shower and toilet. 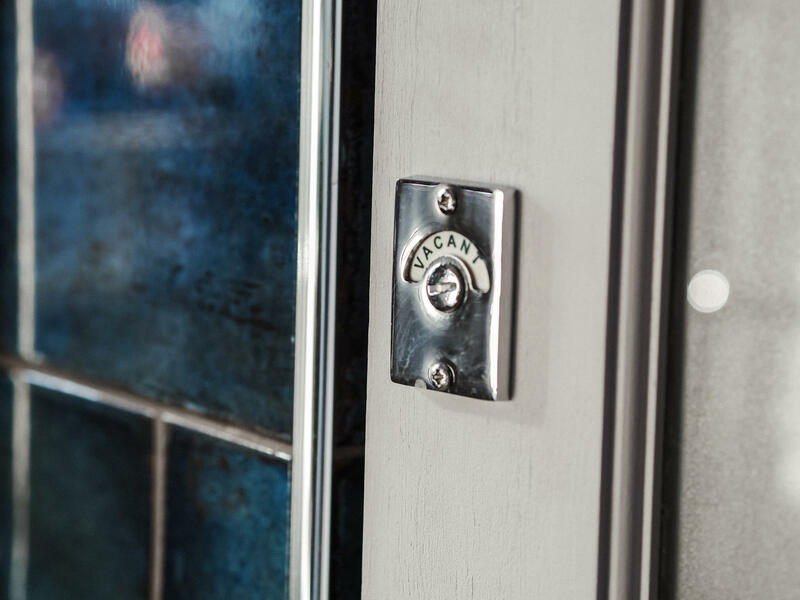 We love features like the ‘Vacant’ and ‘Engaged’ lock you get in public toilets so we installed one in our bathroom door. 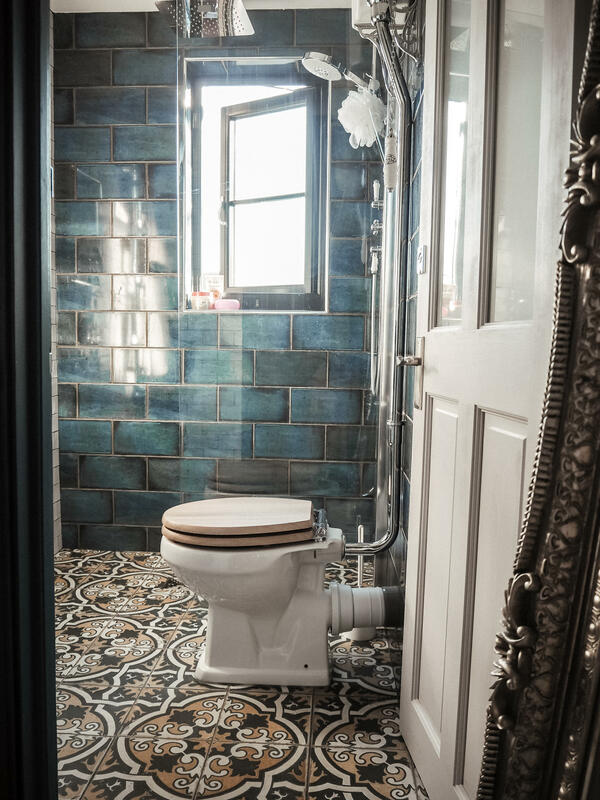 I love these tiles from Porcelain Superstore and I thought they went so well with our toilet and vintage theme. 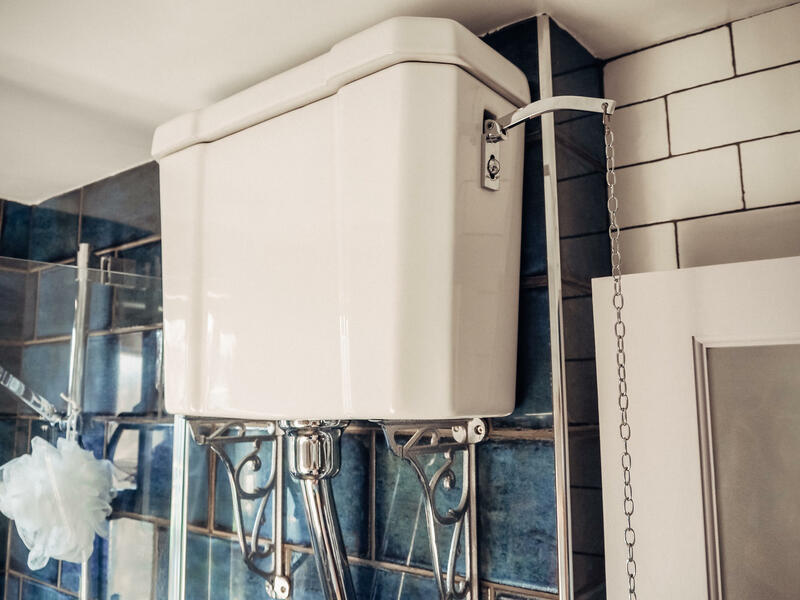 This is our high-level toilet with a ‘Pull’ chain from Victorian Plumbing. 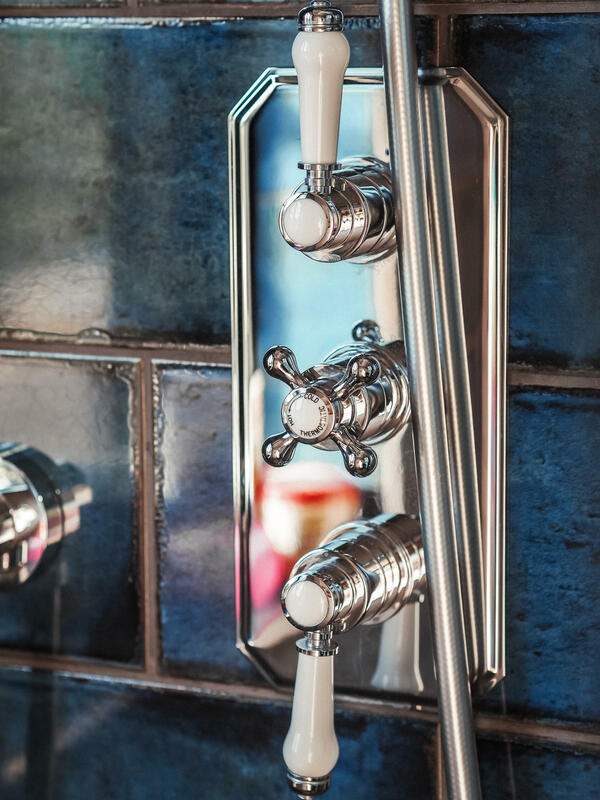 These are the shower taps from Victorian Plumbing that controls both our rain fall shower and the normal one pictured. 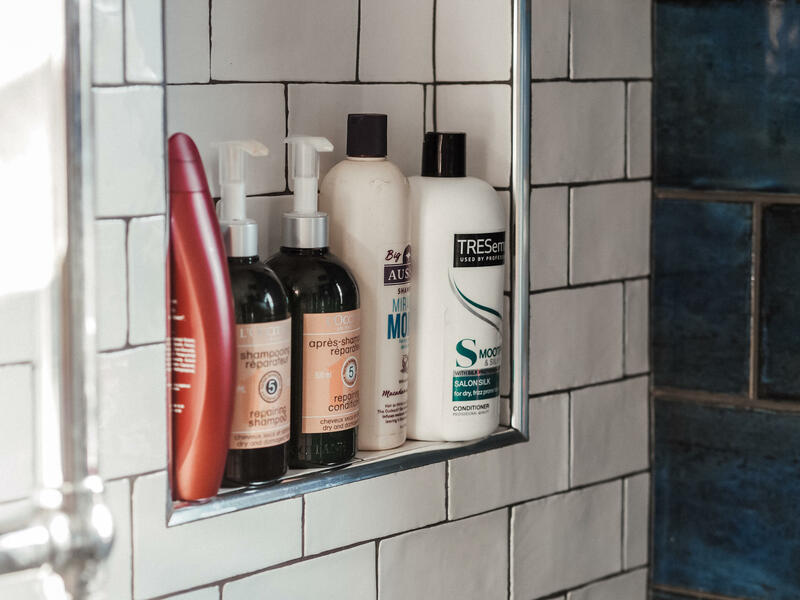 We wanted a shelve in the bathroom so Arron created this one that is built into the wall. I’m a huge fan of these tiles. 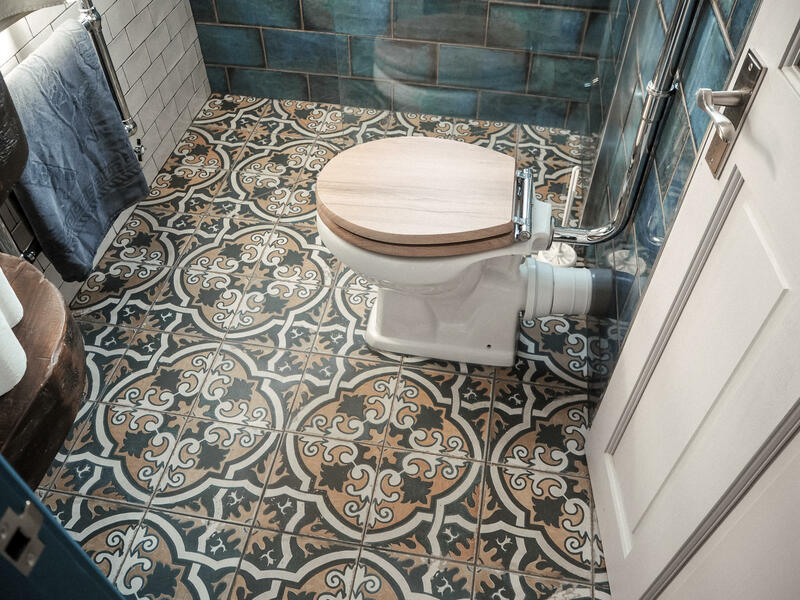 The ‘country white’ ones from Porcelain Superstore are roughly cut which makes them look very vintage(imagine them in a Victorian public bathroom) and the Catania blue tiles are from Topps Tiles and well, everyone loves them. These shelves were a challenge. I was very fussy about what shelves we had and I wanted something a bit rough with bark still on it and lots of wood knots. 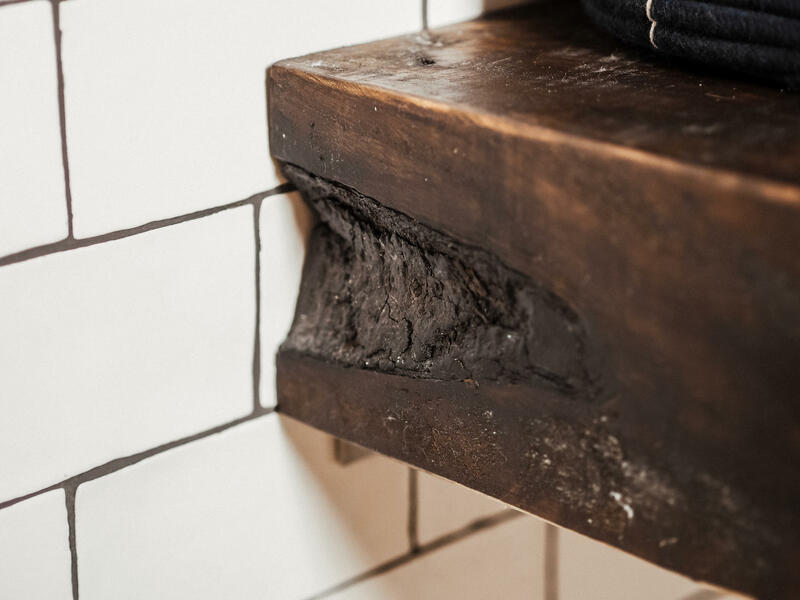 We actually made these shelves out of railway sleepers that were glued together, cut to shape with a chainsaw(thanks Dean) and then treated. There was a lot of work that went into them but I think it was well worth it in the end. 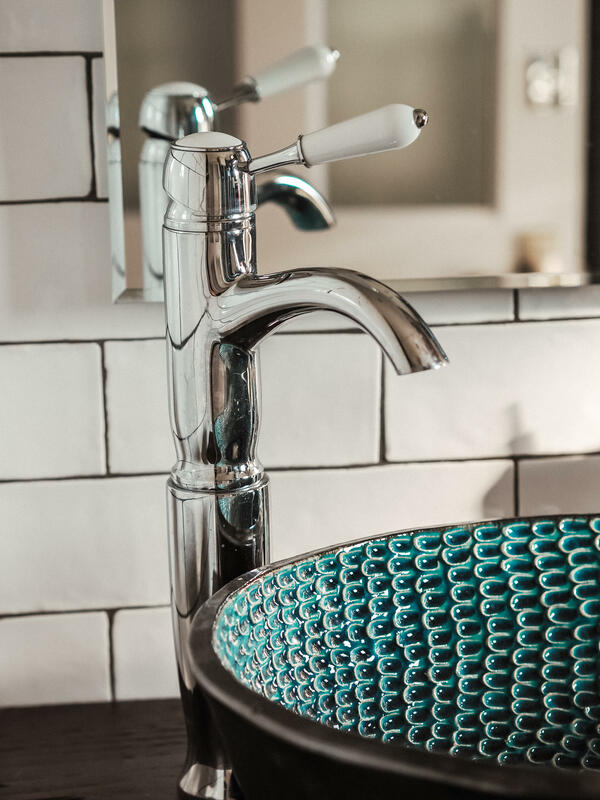 Here is our mixer tap from Victorian Plumbing. The sink! 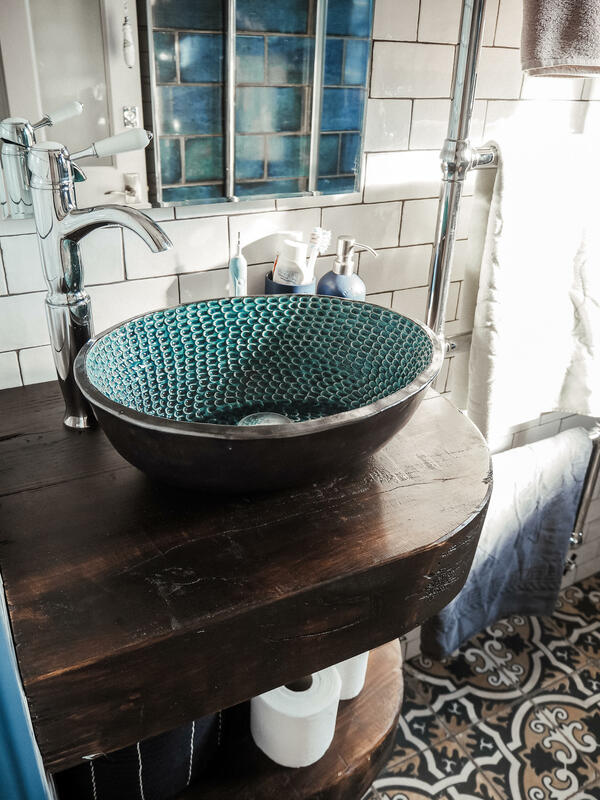 We have received so many compliments about this sink. I actually bought it on Etsy from one of the many talented craftspeople on the site. 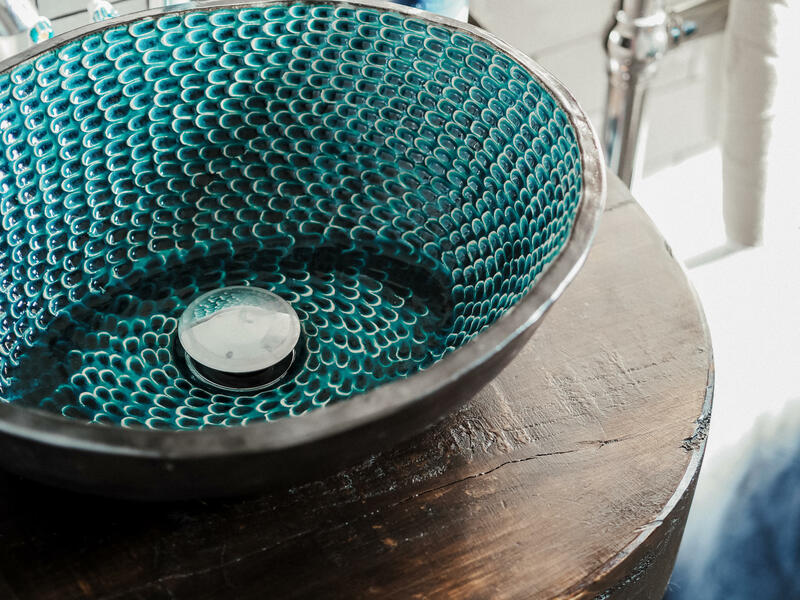 If you fancy something a little different, you can buy this sink here. I found these little tidy baskets in Sainsbury’s by pure chance. They were in the sale too and I think I bought two for about £7! So what do you think of our bathroom? Do you like it? We are so happy with the results. We just need to make sure we keep it clean now. 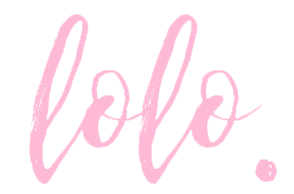 Shopping links are below if you fancy buying any of these pieces for yourself.